One of the questions I keep asking when it comes to Fresh Expressions is “why do we take a cafe and put it into church rather than the other way around”? 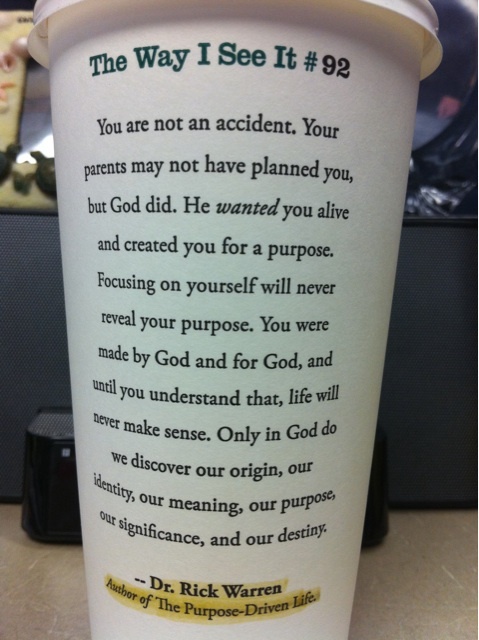 It isn’t limited to cafe church but this picture of a Starbucks cup with a paragraph by Rick Warren made me ask it again. And then my question became “when did cafe church become so corporate”?